It may be the most innovative tech company in America. Even if its name isn’t yet a household word. Meet ABB, whose technology helps create the US’s power infrastructure and keeps the nation electrical grid up and running – and weaves wind, solar and other clean sources of power into the national energy mix. Meet ABB, whose advances in electric transportation – whether on land or sea – move American people and goods in environmentally-friendly ways. 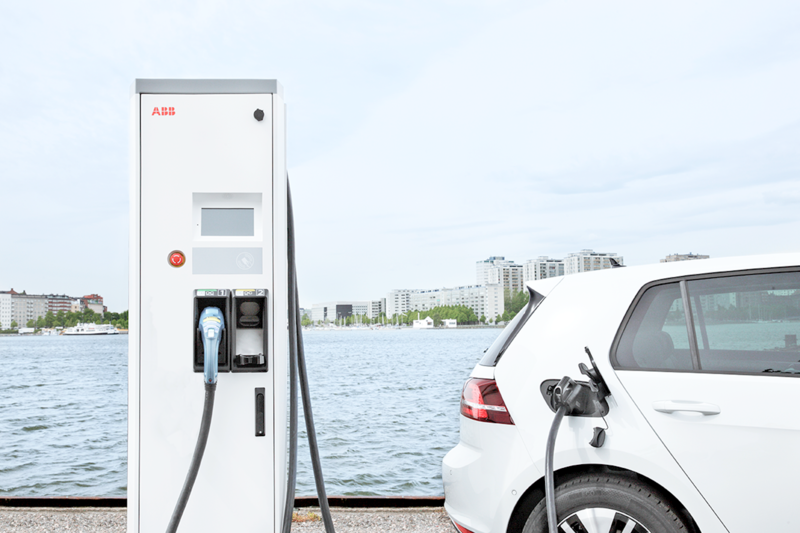 ABB’s fast chargers power the e-mobility revolution. Meet ABB, whose factory automation systems and industrial robots are helping keep the United States a global manufacturing leader – and whose more than 50 US factories and advanced innovation research centers are creating the 21st century jobs that help ensure American workers will remain the world’s most technologically proficient labor force. As title sponsor of the ABB FIA Formula E Championship series – the groundbreaking electric car racing series – which arrives in New York City this month, more people are getting to know ABB – and its big red logo. But the company has been all around you, all along. When you flip a light switch, ABB probably played a role in delivering the electricity. If you own a car, odds are that ABB robots helped build it. If you’ve ever ridden mass transit, it’s likely that ABB electric motors and power systems kept the train moving. Ever take a cruise? There’s a very good chance that a steerable ABB Azipod® electric propulsion system propelled the cruise ship with greater fuel-efficiency to your holiday destination. 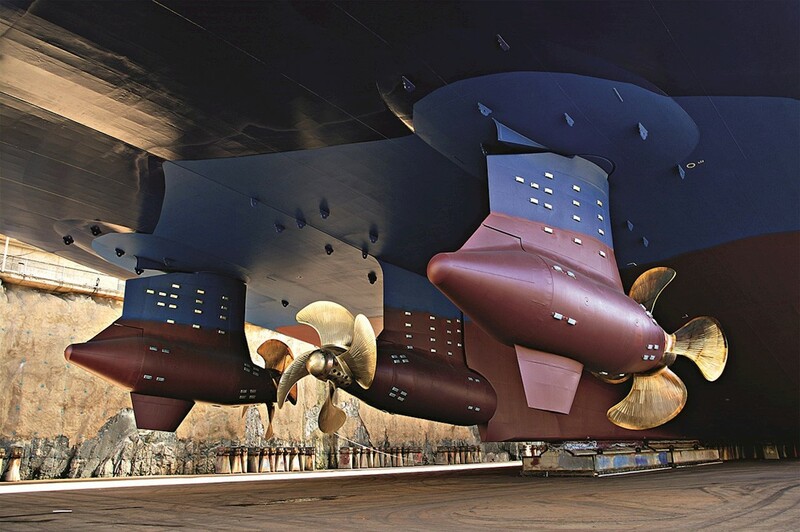 ABB Azipods® have become the leading propulsion system for the world’s cruise ships, including ones that serve New York’s seaports. With its world headquarters in Zurich, Switzerland, and about 135,000 employees in more than 100 countries, ABB is very much a global corporation. But it’s also a major American company, with approximately 24,000 employees in 100 US communities – including some 90 manufacturing sites and ABB’s US headquarters in Cary, North Carolina, in the high-tech Research Triangle corridor. The nearby North Carolina State University campus, in Raleigh, is home to one of ABB’s seven global research-and-development centers, as well as other centers in Silicon Valley and Michigan. Since 2010, ABB has invested more than $14 billion in the United States – one of the largest investments in this country by a foreign-based company. And with its recent $2.6 billion purchase of Atlanta-based GE Industrial Solutions, which makes electrical power equipment used in data centers and other big business settings, ABB is further expanding its US presence. The acquisition adds 3,500 employees in the US and more than 40 manufacturing and operations sites around the country. 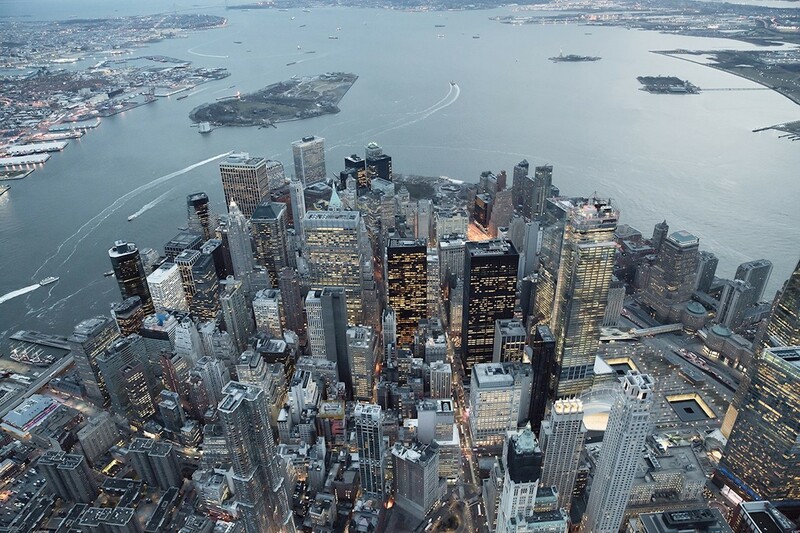 Con Edison digital networking substation powers Lower Manhattan. Meanwhile, coast to coast, digital networking solutions through ABB Ability™, the company’s portfolio of digital offerings, are enabling the nation’s major electric utilities to operate with new efficiency. After Hurricane Sandy knocked out a Con Edison substation in Lower Manhattan in 2012, for instance, ABB completed an upgrade to a digitalized, more powerful, storm-proof one where an innovative new design of a 420 kilovolts (kV) Plug and Switch System (PASS) hybrid switchgear enables a 50 percent space saving and it was installed more than 35 feet (10 meters) above the original substation level, to further help avoid the normal path of future super storms. And ABB replaced the station’s old copper-wire with a fiber-optic network that lets the utility more efficiently monitor real-time data and manage the flow of electricity to its customers and avoid power outages by anticipating failures before they occur. 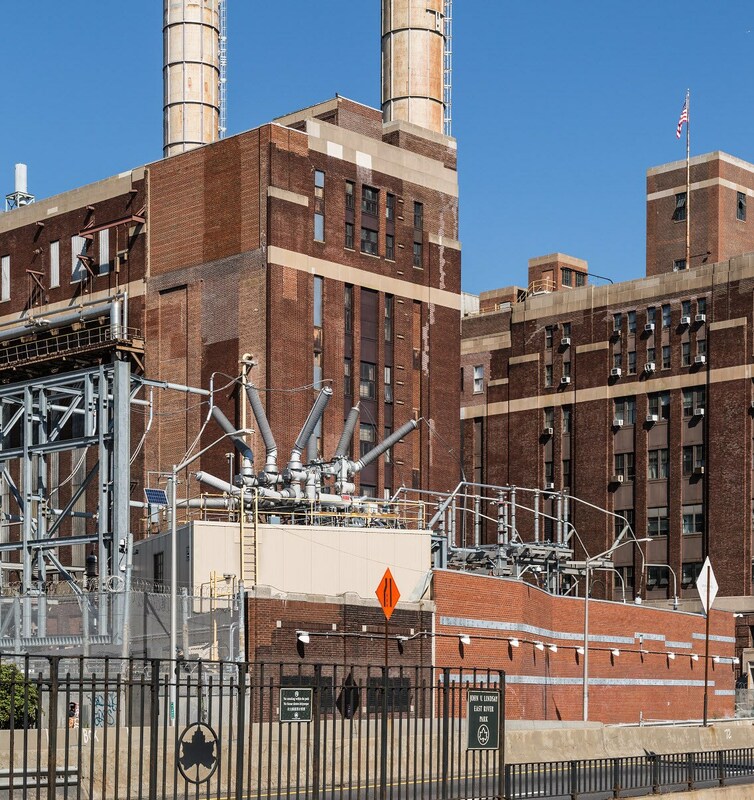 Newly upgrades Con Edison digital substation in Lower Manhattan. On the West Coast, a low-loss high-voltage ABB transmission system carries clean, hydroelectricity from the Pacific Northwest, 850 miles south, to power as many as three million homes in metropolitan Los Angeles. And during winter months, when the heating season creates greater demand for power in Oregon and Washington, ABB AbilityTM technology can help direct the energy flow in the other direction along the same pathway. 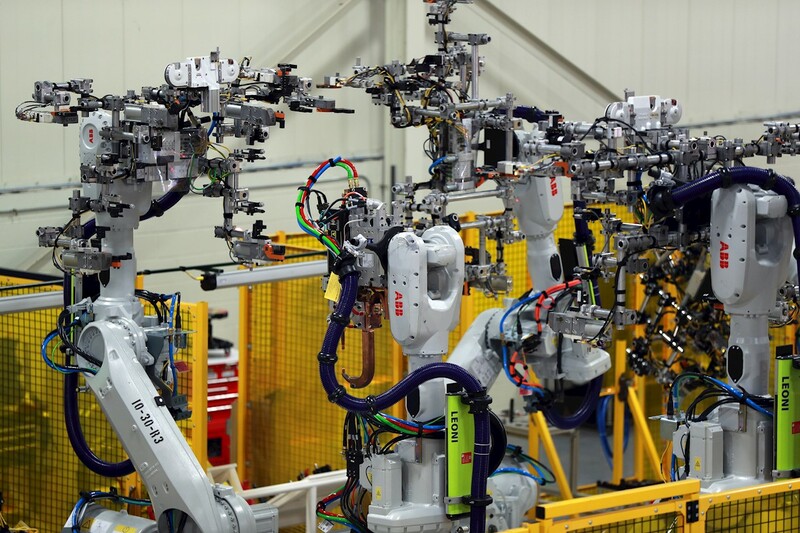 In the middle of the country, in Auburn Hills, Michigan, near Detroit, ABB operates one of the world’s most sophisticated factories, making industrial robots – machines that are used by automakers and other manufacturers, as well as a variety of packaging and packing industries. Some are powerful devices capable of lifting hundreds of pounds of equipment. Others, like the dual-armed YuMi® collaborative robot, work safely alongside people. One of the world’s most advanced robot manufacturing plants, in Auburn Hills, Michigan, which the company opened in 2015. And right now, all over the United States, as rapid improvements in electric vehicles make them not only cleaner than gas engine vehicles, but just as fun and fast. ABB EV charging stations for public use are being installed by the hundreds in the electric-car equivalent of filling stations. ABB’s most powerful chargers – the fastest available – can add about 125 miles of driving range in as little as eight minutes. One of the EV charging network operators, EVgo, already has 500 ABB fast-charging stations in more than five dozen metropolitan areas. Another is Electrify America, the biggest electric vehicle US infrastructure project planned to date. Over the next year, Electrify America will deploy hundreds of charging stations within and around 17 major metropolitan markets and at intervals of 120 miles or less along nationwide highway corridors. ABB. Even if you didn’t already know its name, you know it as the company whose technology is all around you.